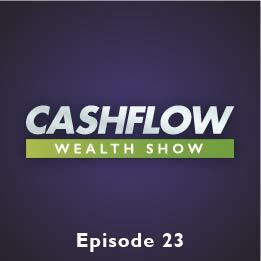 Today’s Cash Flow Wealth expert is Michael Levin, Founder & CEO of BusinessGhost – The Guru Maker. Michael talks about how to establish yourself as the authority in your chosen niche in order to attract the clients you want to your business. Don’t follow what the rest of your industry is doing, with the ease in which you can find like minded people in today’s society, find the people, become a tribal leader to them, and reap the rewards. Michael goes over the first 3 questions you must ask yourself when you’re starting your book, as well as what your first chapter MUST have in it. Remember, when you’re the author, you’re the authority.